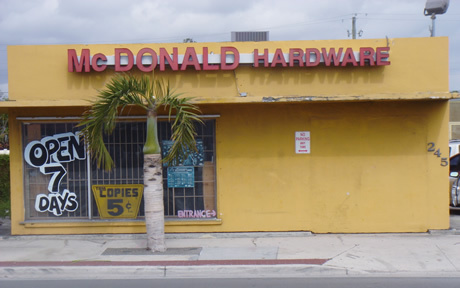 Welcome to McDonald Hardware, a third-generation hardware store specializing in marine, industrial and residential hardware. We have just about anything you need for your home, business or marine hardware requirements, including hand and power tools, plumbing supplies, welding tools, adhesives, automotive and boat hardware, door hardware, chrome fasteners, paint, ace products and much more. We also do pipe cutting and threading, key cutting, paint mixing, glass cutting and screen cutting, and offer corporate accounts. Our inventory is much broader and deeper than conventional hardware stores, so make us your first choice in "one-stop shop" hardware! Since we opened our doors almost a quarter of a century ago, happy satisfied customers have come to rely on our exhaustive inventory, reasonable prices and a courteous, knowledgeable staff that can give you the direction you need. That’s what we do, and why we are here!